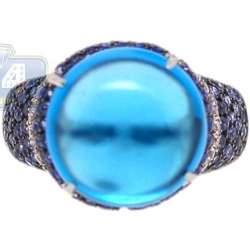 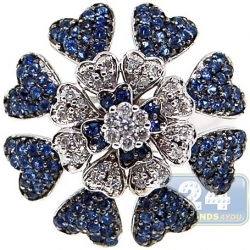 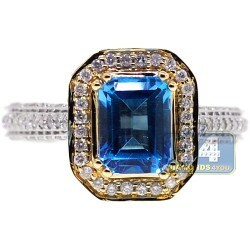 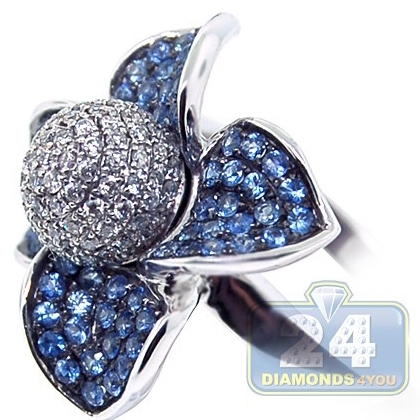 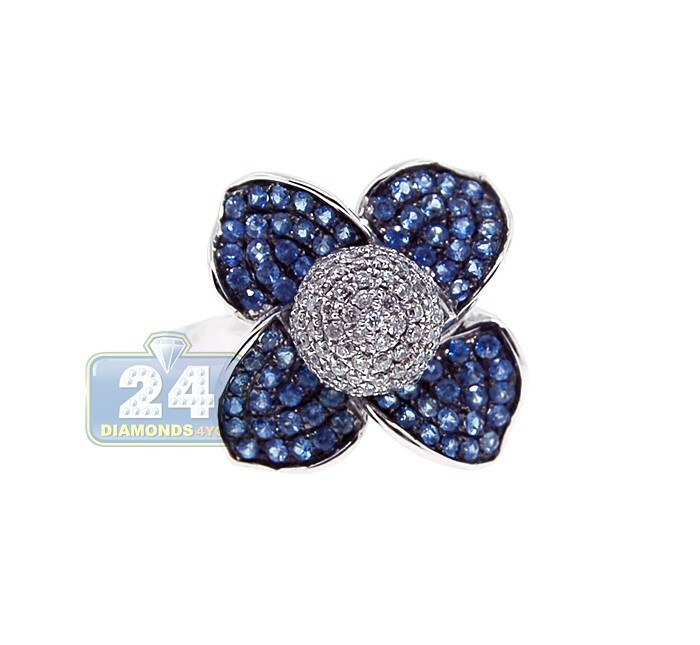 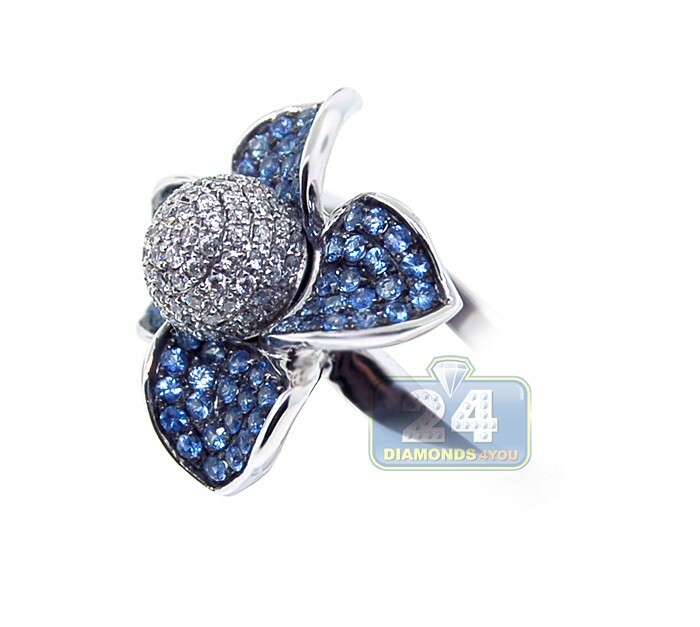 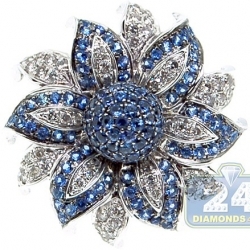 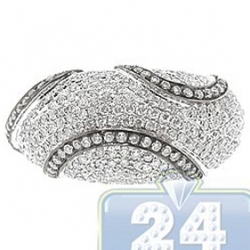 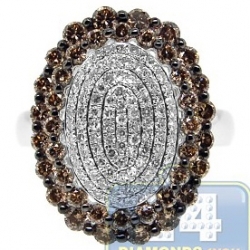 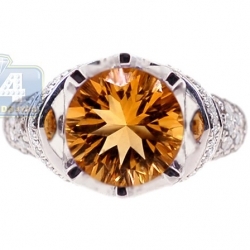 A stunning array of blue sapphires and white diamonds glows on four gorgeous etched petals of this ring! 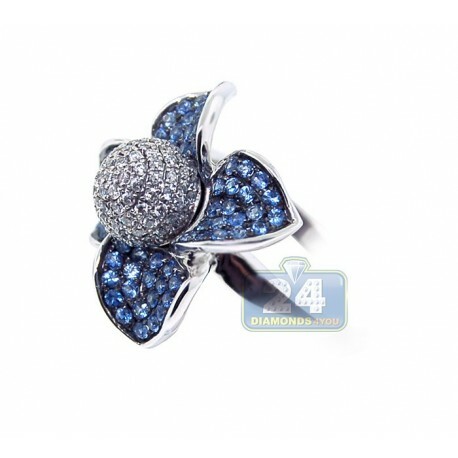 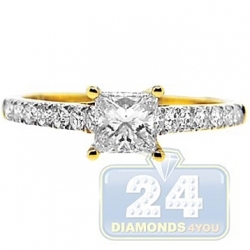 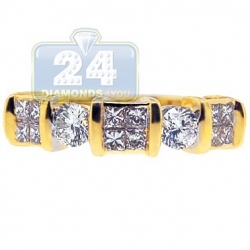 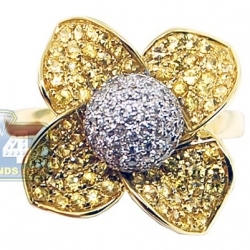 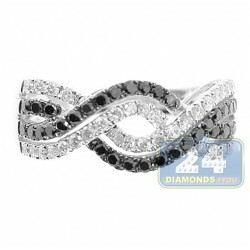 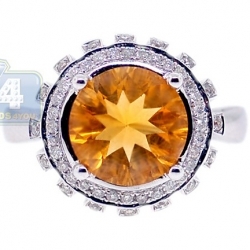 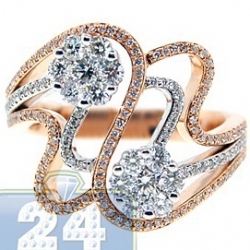 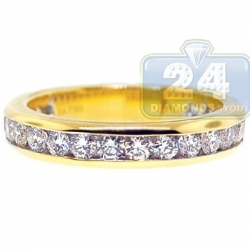 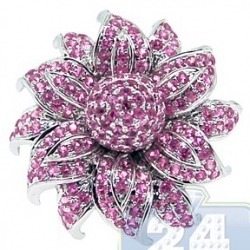 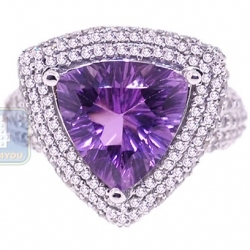 Absolutely amazing flower inspired design is expertly handmade of high polished 14k white gold. 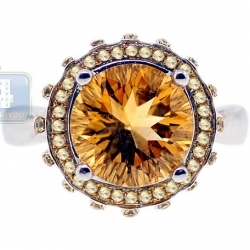 Handpicked stones are beautifully contrasting with each other and make this unique cocktail ring more than a regular piece of jewelry.